This website is more than news; it is opinions, ironic commentary and pictures of the people and places that make this place magnificent and we welcome all forms of participation. Thanks for visiting! The DestinationKnowlton.com website will be retiring on Sept 1st 2010. 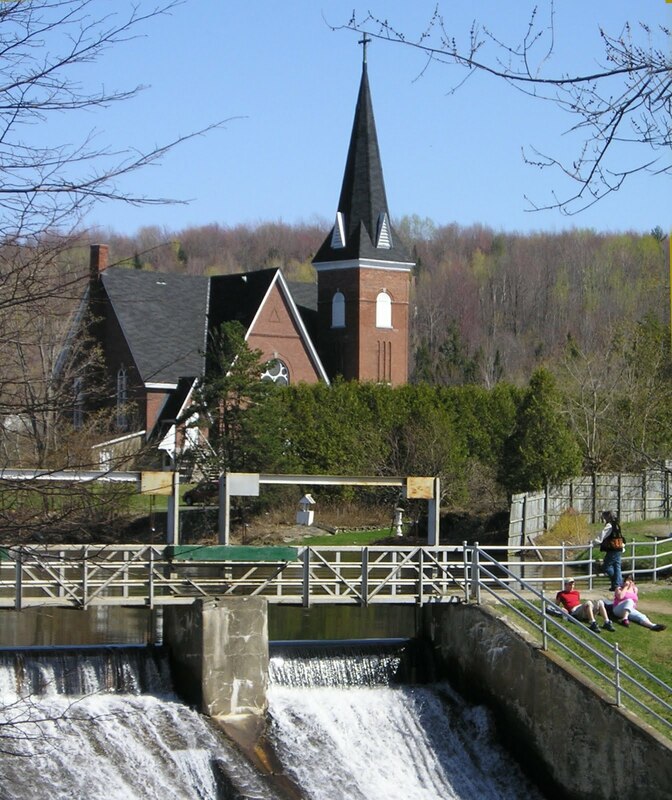 I started the website in 2006 as a personal project to highlight the events, people and services of the community but I will be leaving The Eastern Townships to relocate outside of the province and will cease updates to the DestinationKnowlton.com website permanently as of May 1st. My background was journalism and marketing and when I came to Knowlton in 2004 I sensed that there was the need for a lively website that featured opinions, photographs and news and so in my spare time I began building the website as a personal challenge: to create an online presentation of the town that was beyond what existed on the net at the time. It started as a hobby project really, I would go to local events and take pictures and write my impressions of things that went on in the Knowlton area. I didn't tell anyone or publicize what I was doing because at first I didn't know how the website would develop and evolve. As I added my articles and my pictures that documented the life and times of Knowlton I expanded the website to include a history page, a hotels and accomodations page, a restaurant page, a business directory, a monthly calendar of events and a photo gallery. Slowly I started to see more visitors to the website, at first most of the visitors were from outside of Knowlton. Looking at the traffic statistics I saw people from all over the world coming to the website looking for information on the events, people and things to do in Knowlton. Eventually people from the area found the website and I began getting letters from local residents and started to meet more and more people on the streets of Knowlton who said they had found my website and enjoyed it. The traffic continued to grow with more and more people from around the world came to view Knowlton through the small online window I had created. Soon local people and businesses were contacting me wishing to advertise on the website. I thought I had created something that presented Knowlton in a unique way and was answering emails from around the world from people who were coming to visit and looking for things to do and from people who had lived here years ago and were curious as to what happened to a certain person they had known long ago. Whenever I could help I took the time to communicate with people who wrote to the website, often requiring some research, but everyone I wrote back to appreciated the fact that someone answered their question. I came to realize that DestinationKnowlton.com was moving beyond being merely a personal project and I realized that having such a website that promoted a town was something that required resources and constant upkeep. I worked on the website in my spare time and answered emails when I could and added press releases from local groups when I could. If I ever calculated the hundreds of hours I put into the writing the website articles, taking pictures, updating press releases and listings and compared it to how much I made in advertising revenues I probably earned an average of 2 cents per hour but it was worth it to see the reach of the Knowlton website spread! I had pictures from DestinationKnowlton.com published in print and on other websites, I did interviews with CBC national radio, I had my articles republished in the Montreal Gazette and on websites and met many interesting people in the last 4 years of working on the website; that made it all worthwhile! I hope that I was able to help local businesses by giving them some free publicity, I hope I was able to give exposure to events and the community groups and volunteers that work hard for Knowlton, I hope that in some small way I was able to add a positive momentum to the future of Knowlton. 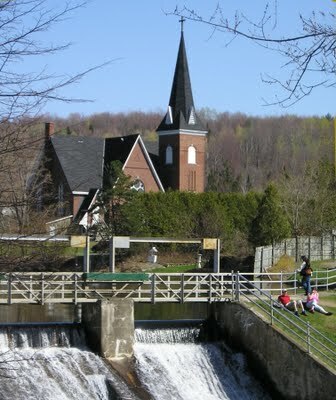 I am moving out of The Eastern Townships and the province of Quebec soon and will be unable to continue working on the website. I will leave the articles and pictures and information on the website on the Internet as a my personal historical document, a brief time capsule and diary of my time in Knowlton. If anyone or any group in Knowlton believes that the "Destination Knowlton" brand could help promote the town and would like to take over the DestinationKnowlton.com domain then please email me. Sincere thanks to everyone who gave encouragement over the years! It was a memorable experience and I am proud of all that was done with your help and support! Best of luck, prosperity and health to all in Knowlton! !